The huge influx of data in the healthcare industry is providing a significant impetus to the global healthcare analytics market. With the advent of digitization, the entire medical space has been flooded with data via innumerable platforms such as social media, online healthcare portals, professional medical sites, etc. 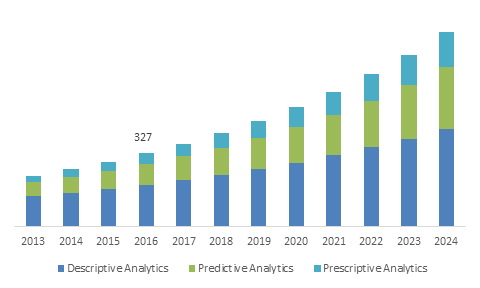 In this regard, precision medicine industry is also substantially contributing toward the growth of healthcare analytics market, owing to the large volume of digital genome data inflow which requires accurate and precise analysis to be converted into actionable insights. The rising healthcare cost, which has been addressed as a global concern by both the government as well as private bodies, is another pivotal driver for the healthcare analytics industry. Healthcare analytics has witnessed a rapid surge in its adoption rate over the past few years. 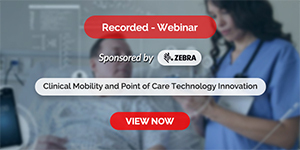 The trend is likely to continue attributed to the growing use of this technology to curtail the global healthcare expenditure by providing accurate clinical outcomes, improving the efficiency of current treatment models, and significantly reducing the number of hospital visits and unwanted medical testing procedures. The other application arrays of healthcare analytics market include population health management, financial management, and operations management. The prime driver for the adoption of this technology remains the global concern regarding the increasing healthcare expenditure. On this ground, financial management accounted for 30% of the overall application landscape and is expected to surpass USD 5.5 billion by 2024. In addition to the need of curbing healthcare cost, the rising demand for detection and prevention of healthcare frauds will also be a key factor driving the growth of healthcare analytics market in financial management applications. Developing economies are expected to witness a heavy growth in the healthcare analytics industry. However, having an upper hand pertaining to the technological advancements along with developed healthcare infrastructure and huge capital investments in the medical space, U.S. is one of the major regions partaking in the healthcare analytics industry development. Germany healthcare analytics industry also witnessed appreciable growth in the recent years and accounted for over 25% of the European market share in 2016. Taking Asia Pacific growth trends into consideration, Japan is likely to emerge as one of the chief regional drivers attributed to the ongoing advancements in healthcare IT and adoption of prescriptive and predictive analytics tools across most of the regional hospitals. In addition, huge geriatric patient base and rising healthcare expenditure will further boost Japan healthcare analytics market share. The region is predicted to register an annual growth rate of 12% over the period of 2016-2024. Some of the renowned companies sharing the healthcare analytics industry space are IBM, McKesson Corporation, OptumHealth Financial, Allscripts, Athenahealth, Athenahealth, Cerner Corporation, Inovalon, and Computer Programs and Systems, Inc. Geographical expansion, particularly across commercially untapped regions along with focus on developing customized healthcare solutions are the major growth strategies adopted by the healthcare analytics market participants. The data integrity issues, dearth of skilled IT professionals, and unorganized data sharing procedures are the factors that may hamper the healthcare analytics market demand in the years to come. However, the growing investments of the companies in developing safe and secured analytics tool along with the commendable adoption of healthcare analytics technology across a series of applications is certain to draw a strong trajectory for global healthcare analytics industry in the coming years.